There's so much we love about fall fashion, but if we had to choose just one item to wear on repeat, we'd pick the oh-so-cozy sweater dress. Luckily for us, a quick scan through some of our go-to retailers revealed that there are so many amazing options available right now, all of which will certainly step up your autumnal style game. Bonus: The one-and-done piece will make getting dressed a breeze (and keep you warm all day long). 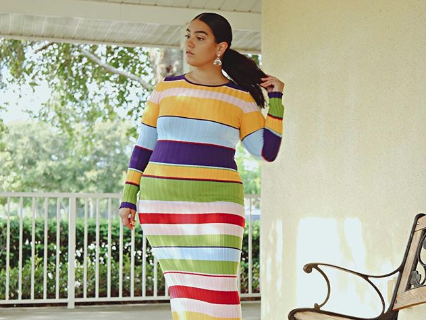 We love how many ways you can style a good sweaterdress: on its own with a pair of sneakers, for one, or as part of an effortless dress-over-jeans look. 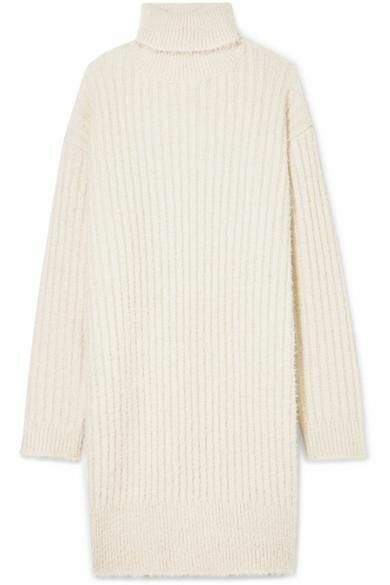 Trust us: Once you slip into a sweater dress, you won't want to take it off. Which is 100% fine, because below, we found picks you can wear 24/7, whether you're lounging around at home or are gearing up for (insert your autumnal activity of choice here). Read on to see and shop the best sweater dresses for fall. Available in sizes XS and M.
Next up, check out the best sneakers to wear with your new sweater dress this fall.